There's one wine in my collection that I do not often talk about. I'd rather drink it, and I'm afraid it sells out too soon. 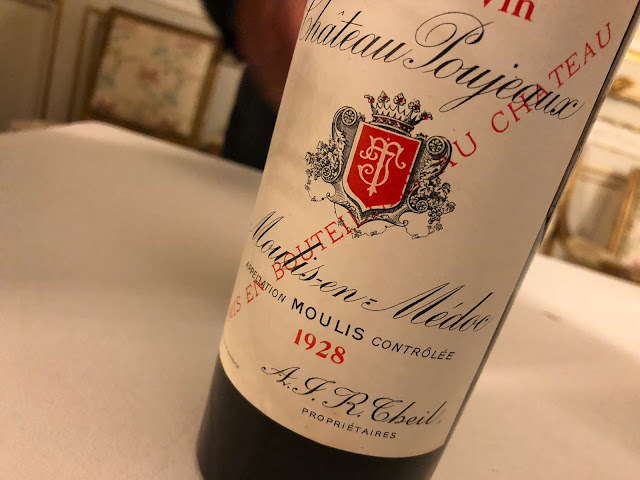 The last time that I mentioned the wine was in the beginning of March, just before the Bordeaux 2009 frenzy broke loose, so it is about time that I get back to the Burgundian jewels of… David Clark. 1. Many readers of this blog do not live in the Netherlands (just a fact, but wait, there's more). 2. I have never made a strong commercial "call to action", as it is called officially. Something like: "Are you interested? Then try this wine now and get three bottles for the price of two!" 3. Most readers are wine geeks (or lovers si vous voulez) who decide for themselves when they buy something, and when not. And that is not necessarily right after they have read something, but perhaps some time much later, more as a result of a long term relationship, as a follower of the blog. I like that last thought. I've been publishing here from October 2007, and ever since I have shared many thoughts with − if I should believe Google Analytics − many people. The vast majority are anonymous readers. I'm perfectly fine with that, and at the same time there is a smile inside when I meet someone who confesses that he or she is following the blog. Now back to David Clark. As said, I have posted about this former Formula-1 engineer before. David has been making wines since about 2003-2004, and works meticulously on his AOC Bourgogne and several Village-vineyards. I think it is hard to find producers who work in such an extreme perfectionist manner. As I sometimes say: David owns some decent yet not grand vineyards, but tends these as if they were Grand Crus. I even dare to say that many Grand Cru vineyards do not get the same amount of attention as David's vineyards. David works organically, and his technical background helps him to optimize every bit and piece of the work he's doing. For example he designed his own bottling machine, because the ones available from the shop did not satisfy him. His machine operates gentler (gravity only), more careful (minimal exposure to oxygen), and slower. That asks for some patience, but of course it's only the result that counts (see David's story of the bottling machine). David's last invention is the solar powered vineyard buggy. This light and clean vehicle enables the farmer to do what he ought to do: work in the vineyard, taking good care of his plants. Only perfectly healthy and well-tended vines are capable of producing great fruit. And only great fruit… well, the rest is obvious (see David's story on the buggy). Then the wines. What David makes has a distinctive style. His wines are more powerful (and grand) than most simple Burgundies, and at the same time there is plenty of leniency, pureness and freshness in his wines. Sometimes they need some bottle ageing to open up, as is the case with the 2007s. Apparently the style is so distinctive that it can be recognised blind. My friend Jan van Roekel had brought to Amsterdam the 2008 Bourgogne rouge from one of his many Burgundy-travels, and poured it unexpectedly. He wanted to know what I thought. 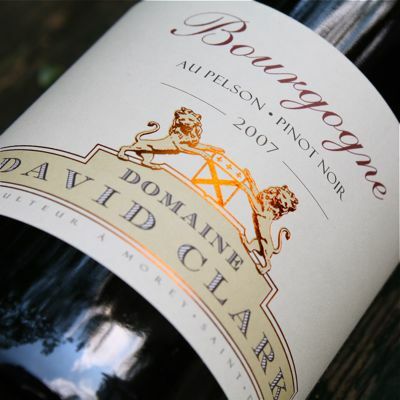 I said it made me think of a David Clark, yet different from the vintages that I'd tasted so far. I know, I'm bragging, but it's the truth. Tasting blind is difficult in a world with more and more uniform wines, with industrial yeasts, and plenty of risk-avoiding growers. But these wines simply stand out. Sommeliers could be interested of course, but have you ever tried to get in touch with a sommelier? Most of them are too busy, or worse, lack true interest. No, that's certainly not true for all of them! But sometimes I would expect a bit more… curiosity. There are simply too many average wine lists here. So most Clark's I sell to wine geeks who − curious as they are − surf the internet for rare wine pearls. Or people who have tried to buy at David's door in Morey-Saint-Denis, which doesn't work, because he's got nothing left to sell. Let me finish. Fellow Dutchmen, here are the wines. I'm curious what happens. No discount, no specials or jokes, just a special wine. And please be modest, as the little pile I own is also my private stock. Sounds good to me. Would be nice to meet your friends!